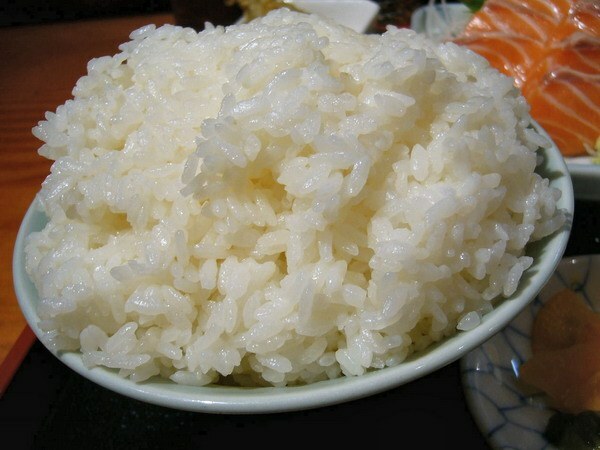 Crumbly boiled rice is one of the most popular dishes in the world. This product is tasty as a side dish and is good in itself. However, to cook the rice so that it didn't stick to the pan when cooking, beginners goes a long way. Measure with kitchen scales or the necessary amount Fig. Keep in mind that one serving usually use 70-100 g of the cereals. Rinse carefully measured amount of rice. To do this, place the grains into a large bowl and add cold water 2-3 times more than the grains. Rinse the rice in a circular motion, and drain the water. Do this not less than 2 times (experts –chefs usually recommend three to four times washing of rice). Method 1 in a pan Pour desired amount of cold water, add salt and bring to a boil. Water for cooking is used in an amount which is 2.5-3 times the amount of rice. Add boiling water to the rice and allow contents of pan to boil over high heat (or select the maximum value of the heating burners on the electric stove). Stir the rice and immediately turn down the flame to the lowest level at which the boiling continues. Cover pot and do not stir the rice while cooking, otherwise it can stick together. Cook riceowou grits until tender. This time usually ranges from 15 to 25 minutes depending on the riceand (from his varieties, parboiled, whether it is pre-manufacturer or other properties). If the rice is not yet ready, and the water is boiled off, then carefully with a spoon, getting to the bottom of the pan, move the rump in several places and add the resulting deepening a little hot water. The pot again, cover with lid. Method 2Налейте in a saucepan of cold water 2 times more than your measured amount of rice. Water salt to taste. Put in a saucepan with the water washed rice, put a pot on the stove and bring its contents to a boil on maximum heat. Stir the rice after boiling water and slightly reduce the heat of the burner, not bringing it to the average values: let the fire be strong, but not maximum for the duration of the cooking process. Cook rice until tender (about 20-25 minutes). As ricetype grains contain a certain amount of starch, you should periodically stir the grits in the process of cooking, otherwise the rice will stick together and not be crumbly. Method 3Сварите crisp rice bags. For cooking boil in the pot specified by the manufacturer on the pack the amount of water (usually not less than 1 l per 1 packet, which contains 100 g of rice). Water the sunflower is a good choice. Place in a pot of boiling water with a bag of riceohms and cook over high heat for 20-25 minutes. Remove with a fork or spoon and a package of ready riceout of the water, allow to drain excess fluid, cut the bag and place in a bowl the required number of loose rice. Rice cooked in a frying pan, is a delicious, sweet, rich flavors of the garnish. In addition, this rice can be served as a separate dish, which will delight you with its appearance and taste not only in normal but also in fast days. Take a large onion and peel it from the husk. With a sharp knife slice the onion into small cubes. Put on medium heat pan with thick walls and add the olive oil. When the oil is a little warm, add to the pan the finely chopped onion. Fry onion until transparent. While saute onions, get the mushrooms. Carefully rinse the mushrooms with cold water. Then chop the mushrooms small pieces and add them to the pan. Mix mushrooms with onion with a wooden spatula and continue to fry. Rinse the rice under running water. To do this, use a small sieve. 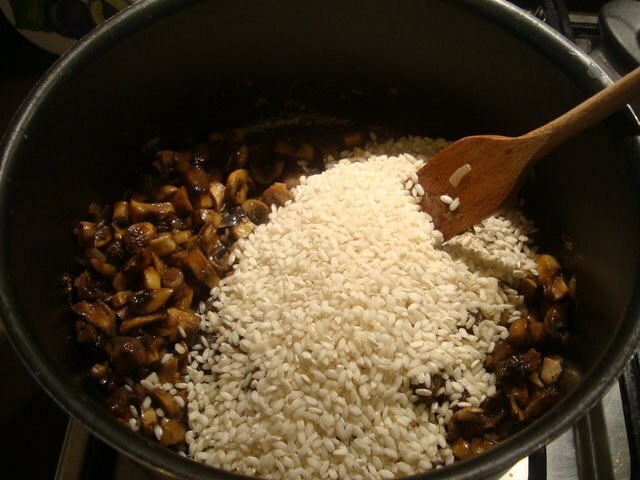 Stir in the rice to the pan mixture on top of mushrooms and onions. Carefully flatten the rice with a wooden spatula. Pour into the pan 2 cups of filtered water. Then add the spices: salt, black pepper, a pinch of Basil and turmeric. Simmer the rice until soft. Cover the pan, you can not close, let the water evaporate freely. When the rice is almost ready, add the garlic so that cloves are not to be seen. Then cook the rice for 7-10 minutes, stirring. At the end of cooking, remove the garlic cloves and discard them. Your aroma they have given. Can now close the pan with a lid until the rice potamilla a bit. Cooked in the pan the rice, place on plate, if you submit it as a separate dish. If you have all the fixings, put it in portions on plates to the main dish. During the process of cooking the rice do not stir it. Under this condition, the rice will turn out crumbly. Leave the rice to stew in the pan on their own, otherwise it will turn to mush. When cooking rice in a frying pan, be sure to use this spice, like turmeric. It not only gives the dish a slightly perceptible aroma, but also make white rice Golden. By turmeric your dish will look much more appetizing.